If you thought there was something missing from the 2012 campaign season, something that made it less compelling or uplifting than the cycle of four years past, well, today we are here to fill that void: we are resurrecting the Stump. Four years ago, I was an avid reader of TNR’s campaign blog from the outside, following Noam Scheiber and Mike Crowley’s posts in my capacity as a political reporter for the Washington Post. The Stump was a beacon of wit and clarity when I was out on the road, which was all too often – somehow, the Post and I agreed that I would move to New Hampshire for seven weeks with my family (a two-year-old boy, a one-month-old baby, and an exceedingly understanding wife) so that I could cover the first primary on the ground. I had started my political reporting career in New Hampshire, covering the 2000 primary for the Concord Monitor, and moving up there for the 2008 race allowed me put my Live Free or Die-ness to some use. We survived the snowiest December in decades, and I managed, among other things, to happen into an interesting conversation with Hillary Clinton’s N.H. campaign chairman about Barack Obama’s past drug use. Four years later, so much has changed. 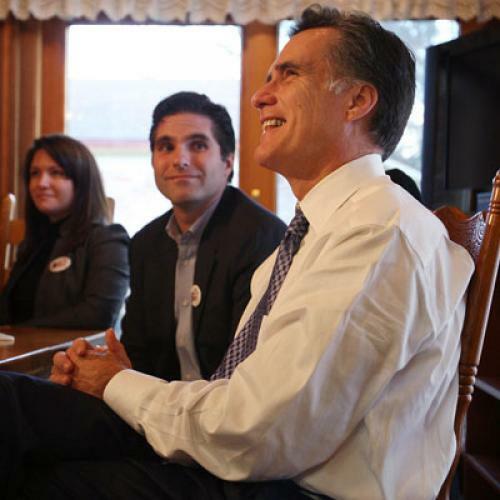 Mitt’s back, but where are Tagg and the other denizens of the Five Brothers Bus? Sure, Ron Paul’s still around, but whatever happened to the Ron Paul Liberty Dollars? And what about that guy who, almost exactly four years ago, told a Wall Street audience that too often in its dealings, the “quick kill is prized without regard to long-term consequences for the financial system and the economy … Just because it makes money doesn’t mean it’s good for business”? Well, he might still be around, except this time he may not raise as much money from the audience as he did then. In any case, I’m now here at the magazine as the 2012 campaign correspondent, and so can take my own crack at contributing to the Stump. The blog is a team effort – I’ll be joined in a month or so by Noam, and we’ll also be featuring posts by other TNR reporters. I’m excited to be doing it – to have another outlet to report more on sober policy matters like this and to be able to turn around some nuggets shorter than this. As they say, keep your eye on this space – more to come soon.